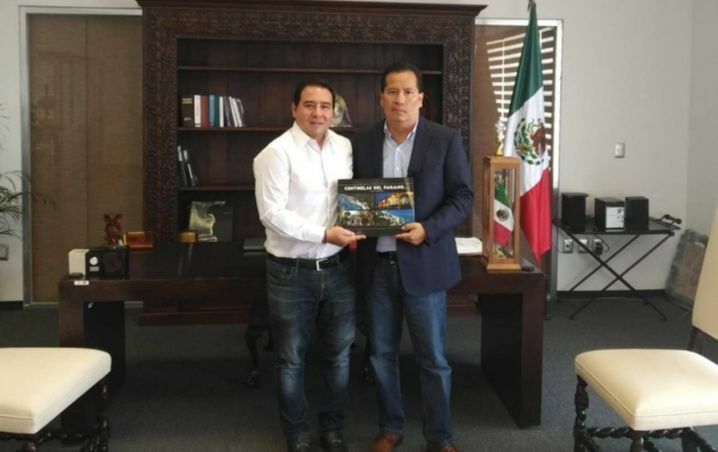 The general director of the Foundation of Parks and Museums of Cozumel (FPMC), Emilio Villanueva Sosa, held a meeting with the municipal president of San Miguel de Allende, Gonzalo González Rodríguez, with the purpose of exchanging experiences on the strengthening of cultural tourism , through the enhancement of the cultural, historical and natural heritage, while the subsequent signing of a collaboration agreement in the areabetween these two destinations was determined. Last year the FPMC participated in the 1st National Forum of Actors of Tourism (FOATUR), held by the Government of Guanajuato, through the Ministry of Tourism and the National Chamber of Commerce, Services and Tourism (CANACO-SERVYTUR) of San Miguel of Allende, and in follow-up to the issues raised in that event, both officials agreed on the importance of implementing promotion strategies, based on the practice of conscious, sustainable and innovative tourism. Villanueva Sosa spoke about the work that the Foundation of Parks and Museums of Cozumel (FPMC) has carried out in terms of sustainable tourism during the 30 years of its existence, reflected in the increase in the number of visitors who choose Cozumel to vacation, which translates into important social programs such as scholarships, and suport to education, environmental conservation, culture and art, as well as promoting spaces for artistic expression and social participation. He explained that, although they are distant and different cities, San Miguel de Allende and San Miguel de Cozumel, have in common the tourist vocation and that both destinations have an important heritage, one with cultural value and the other with natural value. And both have the firm conviction to conserve this heritage because it belongs to everyone, it belongs to the community. “It is necessary to know our heritage and history and take care of it to enjoy it”, he said. Villanueva Sosa explained that this approach served to confirm that both destinations are working with the same vision of strengthening cultural tourism, so the signing of a collaboration agreement brings a sigificant benefit for Cozumel, as they will count with the support of a municipality such as San Miguel de Allende, which has positioned itself at the forefront of the country’s cultural tourism scene. He added that mission of the Foundation of Parks and Museums of Cozumel (FPMC) is to be custodian and protector of the natural, historical and cultural heritage of the island, and now the directors of the institution are committed to protect this legacy, because it is precisely the value and identity that differentiate Cozumel from the rest of the world and that makes it really attractive for tourists who visit the destination every day, coming from the most diverse places around the world.